Cruising in the Caribbean has long topped the bucket lists of luxury travelers around the globe. If we’re totally honest, we’re not immune to travel envy. Not one bit. And these islands have us checking our vacation schedule. Perched between the Atlantic Ocean and the Caribbean Sea, these two islands make up a single Commonwealth nation, known best for its sugar-white beaches lined with coral reefs and lush inland rainforests. 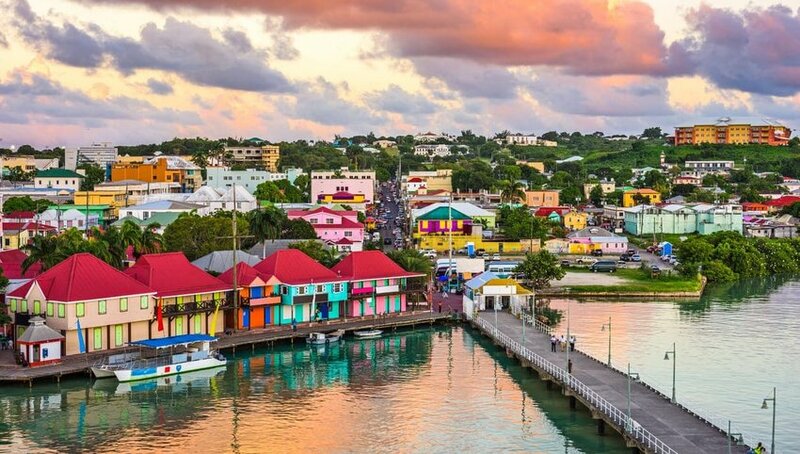 When your ship pulls into St. John's Port, you'll be greeted by colorful buildings perched along the water's edge. Both islands are steeped in history, and their must-see sights tend to be focused around their colonial heritage. On the island of Antigua, Nelson's Dockyard boasts a ritzy yacht-filled marina and, nearby, the Dockyard Museum tells the historic tale of Admiral Horatio Nelson who made a base here in the late 18th Century. On the Barbuda side, make sure you take a trip over to Pink Sand Beach and grab a nice cold drink from John’s Beach Bar while you soak up the views of the candy-colored sand (or, to be more accurate, tiny pink seashells). When you’re ready for some more action, hit up the north side of the island for hiking and caving adventures. 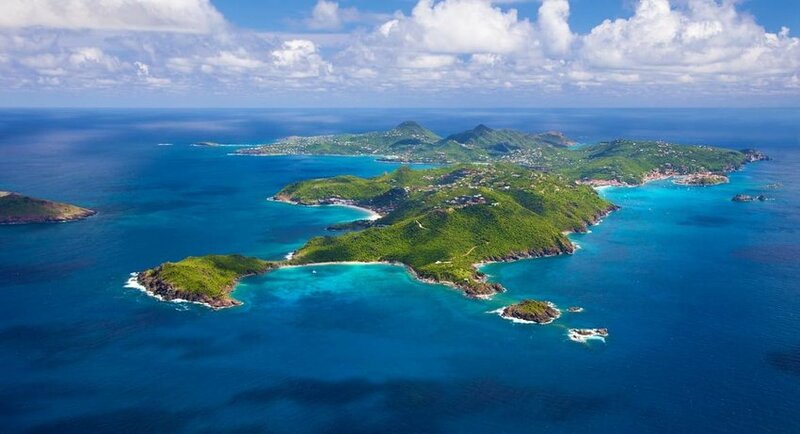 Idolized by A-listers around the world, St. Barts has some serious swag. Not only does it have all the turquoise water and white sand beaches that we know you love, it’s also the holiday destination of choice for select ultra-rich and super-posh celebrities. 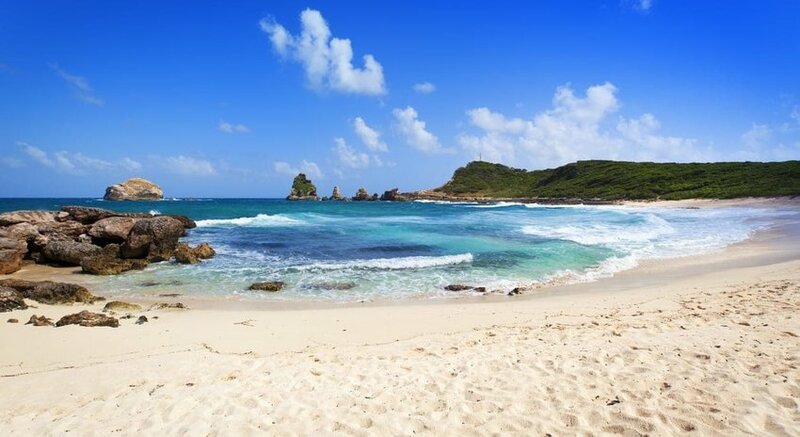 As you can imagine, visiting St. Barts puts a fairly big dent in the ol’ savings account, and when you compare the basic cost of living to that of its neighbors, it can start to look pretty astronomical (though you can offset some of the expense by sleeping onboard your cruising vessel). For those of you who can swing the budget, cruising to Saint Barthelemy will leave you feeling like you’ve discovered your own patch of paradise. One major upside is that the island is so small (just 25 sq. km! ), so it’s incredibly easy to get to know the entire area in a short space of time. Not only does this mean you can easily discover all of the best spots at the drop of a hat, it also contributes to the relaxed, tight-knit communal vibes for which St. Barts has become known. Our cruising compilation wouldn’t be complete without this idyllic butterfly-shaped island. When planning a cruise to Guadeloupe, it helps to consider the two distinct areas on the island to make the most of your time. First, the southern Basse Terre region, which is where you’ll find the verdant mountains, jungle, and Soufrière volcano. Meanwhile, in Guadeloupe’s arid northeast, the landscape changes dramatically. The towering mountains fall away to reveal a spread of scrubby grassland, sugar cane fields, and surf-washed beaches. Le Moule is the premiere wave spot on the island, and is home to Guadeloupe’s small but thriving surf community. If you’re inclined to grab a board for yourself and test out your skills on the swell, you can take your pick between a heavy reef break and a beginner-friendly beach break. 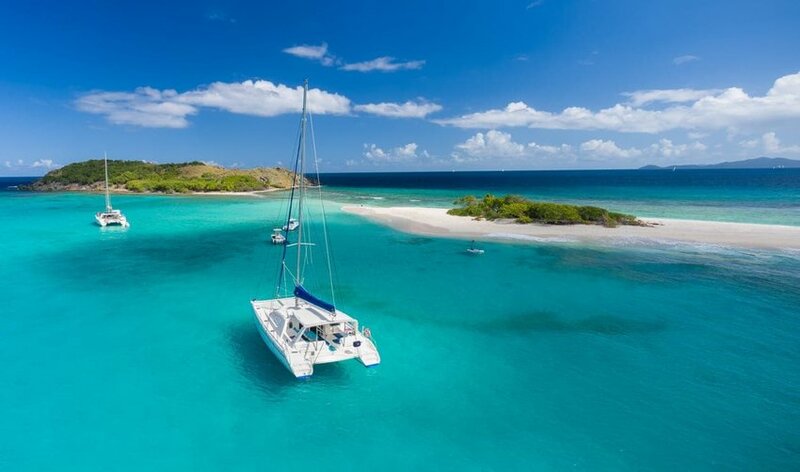 Tucked away in the southeast of the Caribbean, Saint Vincent and the Grenadines is an archipelago comprised of one main island (St. Vincent) and 31 smaller outlying island - only 9 of which are inhabited. Today a world-famous sailing destination, the history of St. Vincent and the Grenadines shows off a bit of a mixed bag, having been colonized by both the French and the British multiple times. The mish-mash of cultural heritage seeps into today’s modern life, with evidence of French and British influence in everything from the architecture to the food. Cruisers heading to the islands will do well to sail around Admiralty Bay, where you can hop from island to island, taking in the best of what each has to offer. 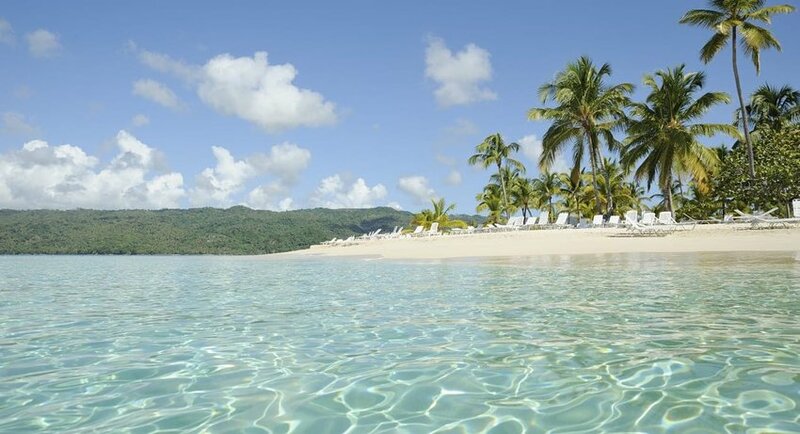 Bequia Island tops our list, with its awesome turtle sanctuary and postcard-perfect tropical beaches. Union Island is another favorite for day-trip sailing expeditions, while Tobago Cays is our go-to spot for snorkeling and reef diving. Sat just off the east coast of Puerto Rico, the British Virgin Islands are a phenomenal cruising destination for anyone who fancies a mix of culture, nature, and laid-back beach vibes. Ideal for sailors and cruisers, the chain is made up of 4 main islands and around 60 smaller ones- some of which are only a hundred-odd square meters in size. Most of the archipelago is composed of volcanic matter; in effect, the landscape is rough and rugged. 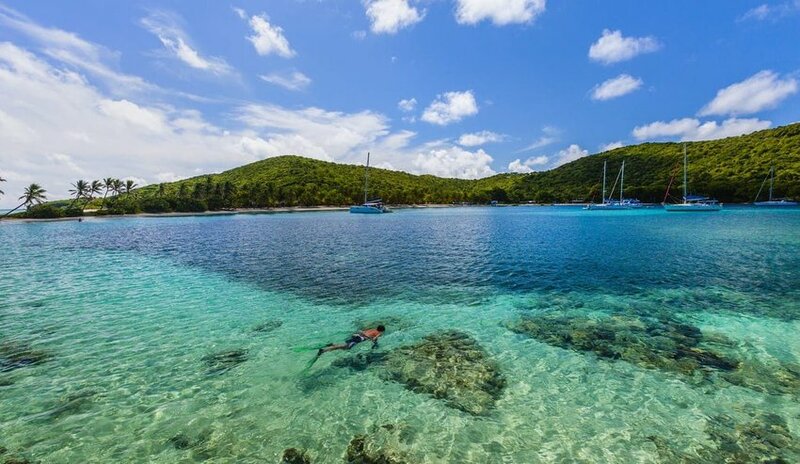 From its reef-lined beaches to the tropical rainforest of the national parks, the BVI’s outdoor offerings span snorkeling, hiking, diving, sailing, and more. Sadly, the islands often fall victim to the destruction of hurricanes passing through the nearby belt. In 2017, Hurricane Irma tore through, causing pretty extensive damage to many of the islands. We recommend showing them some extra love by sending your cruise dollars their way to help reenergize the tourism business. By far one of the largest land masses on our list, the Dominican Republic makes up half of the island of Hispaniola (shared only with Haiti, to the west). While to many, the Dominican Republic isn’t an obvious cruising destination, it’s one that we’re absolutely in love with thanks to its quirky culture, warm and hospitable locals, and outdoor adventure offerings. Dock in Puerto Plata and spend the day discovering the city’s upscale resorts, fabulous beaches, and a huge golf course. After that, head 45 minutes east to Cabarete and get your fix of wind and waves at the local surf and kitesurfing clubs. Cabarete is one of the Caribbean’s premier water sports destinations, and today plays host to a solid international community of surfers, kiteboarders, and digital nomads. If you're keen to hook up with new faces from around the world, hanging with the crew here is bound to make you feel like you’ve known them all your life. 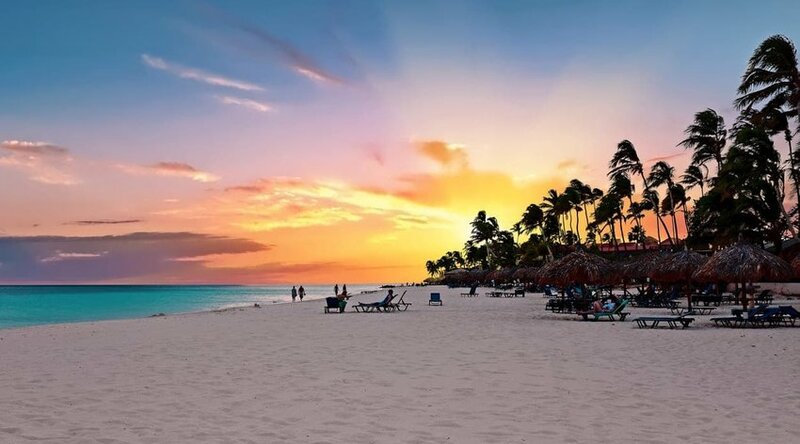 Aruba is a dream cruising destination for anyone who values a mix of beachside relaxation and on-water action. On the cultural side of things, Aruba’s Dutch roots stand in stark contrast to the culture of many other Caribbean islands, from the genuine windmill imported from the Netherlands to the cheese tasting in Oranjestad. If you’re ready to soak up some salty water action, the southeast of the island where you’ll find the best wind for kitesurfing. Head to Boca Grandi to score the best conditions (extra brownie points for the fact that you’ll be able to escape the mega crowds from the touristy beaches). Or, if you fancy socializing at a beach bar with a cocktail in hand, make your way north to Palm Beach. Stretch out on a sunbed at one of the luxury beachfront resorts, or make a half-day trip to the nearby Butterfly Farm and take in the tropical jungle surroundings.